If we fail to tell you what is needed to make your vehicle safe, even if you didn’t ask us, we won’t be doing our job properly. 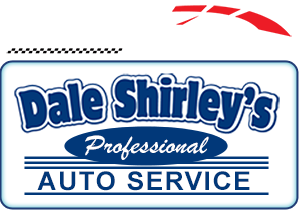 At Dale Shirley’s Professional Auto Service you are not just another customer, you become part of our family. If you come in for just an oil change, we won’t try to sell you any extra services or up sell a service unless we feel it is needed. We wouldn’t do that to a family member and we won’t do it to you. We might recommend some services or repairs, but that doesn’t mean they need done immediately. If we fail to tell you what is needed to make your vehicle safe, even if you didn’t ask us to look at a certain problem, we wouldn’t be doing our job properly or be acting fairly towards you and your family. We tell you the condition your vehicle is in as we see it. It is always your vehicle and your choice of what you allow us to do to it. If we notice your brakes are wearing out, we’ll tell you how long we think they might last and when they might need replaced. No scare tactics, no corporate quotas, and no pressure. We’ve assembled a highly skilled, community minded crew that provides experienced auto repair to Monroeville, the Pittsburgh area, and beyond. From the common working man or woman to the retired person, from the student to the doctor and lawyer, they all come here. In most cases we can service every make and model on the road, no matter how old or new. We’re not the bargain garage on the block. We charge fair prices for professional work with professional equipment and use high quality parts; because cheap parts aren’t good and good parts aren’t cheap. We offer discount coupons in the magazine Neighborhood Values and several church bulletins. We know that some repairs can be costly at times. 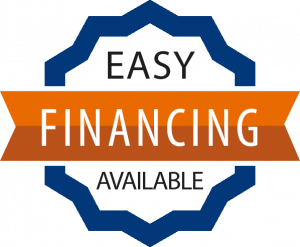 We also have financing available that offers 90 days same as cash when the repairs are too difficult to manage at times. We offer fleet discounts to businesses with 5 or more service vehicles. So many families and businesses have chosen us for their one-stop repair shop. The word Professional in the name says it all.